One thing is certain and two things are for sure, which are that rat’s exist and that they need food and warmth to survive. To achieve this, a rat will take advantage of any and all opportunities. Rats have been around for a very long time because they are survivors. They are wily when it comes to finding food resources and just as inventive when it comes to finding ways inside your home to tap into those food sources. During wintertime when the temperatures make being outside an unpleasant ordeal, rats will take advantage of any opening they can chew or claw their way through to get inside, where it’s warm and cozy. Rats start to put their plan of action to be safe, warm, and well fed during the winter into play during the fall. The first step in eliminating rats from entering your home is to check for any openings and seal them. The next step is to remove any outdoor food sources such as bird and squirrel feeders. Your third step is calling in a NJ pest control company to do a thorough indoor inspection. 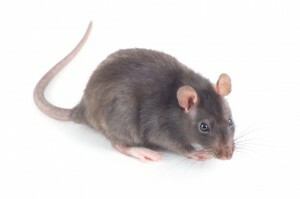 Our NJ pest control specialists at Stern Environmental are trained and experienced in eliminating the problem of rats in your home or on your property. For help from one of our NJ pest control professionals, contact Stern Environmental at your earliest convenience.